JAL is using Smore newsletters to spread the word online. Nelson Mandela born in Transkei South Africa on July 18, 1918. Mandela went to university college of Fort Hare and the University of Witwatersrand and qualified in law in 1942. He was arrested in 1962 for almost twenty years for civil disobedience he gained population from what he did. Because of his actions for peace in his country he won a Nobel Peace Prize in 1993. 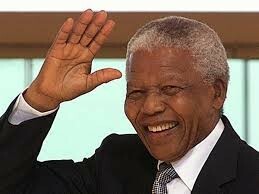 He was a well respected man of South Africa. Nelson Mandela was elected the first black President of South Africa from 1994 to 1999. While president he fought against racism and the apartheid. One of the famous icons of the modern History, organized non-violence protest action against apartheid in South Africa. Mandela fought equal rights between blacks and whites in South Africa. Mandela was able to change his country by just standing up for what he believed in. v July 18th is Nelson Mandela day people are asked devote 67 minutes to helping others. The 67 minutes represents the 67 years Mandela spent serving his country. Emmett was killed at the age of fourteen by two white men. 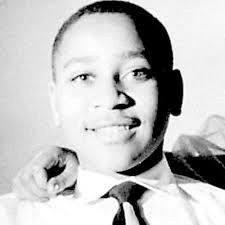 While visiting family in Mississippi Emmett Till was murdered for talking to a white woman. Her husband and brother made Emmett carry 75 pound fan to the bank of the Tallahassee River and ordered him to take off his clothes . The two men beat till to death they scooped out his eye, shot him in the head and tied his body to the cotton gin fan with wire and threw him in the river. The two white were arrested for kidnapping Emmett Till. When Emmett was killed there was evidence that the two white men killed Emmett but they were found not guilty and were freed. The murder of till shook the nation and helped spark the movement for civil rights for black Americans. Emmett was found by the police at the bottom of the river 3 days after he was killed. They put him in a box and sent him back to Chicago for a funeral.